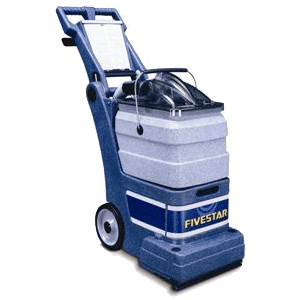 Professional carpet & upholstery cleaning machine. The big brother to the popular Steempro Powermax, the Steempro Powerplus has the extra capacity and new 220 psi pump to tackle the really big jobs quickly and professionally. 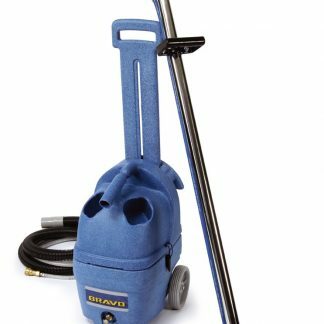 For large areas of carpet cleaning the Steempro Powerplus saves time on re-filling and emptying and the optional Heat ‘n’ Run in-line heat exchanger provides continuous hot cleaning solution. 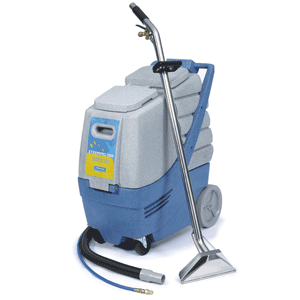 The scuff-resistant granite finish Steempro Powerplus machine is the latest and most advanced in Prochem’s range of portable soil extractors. 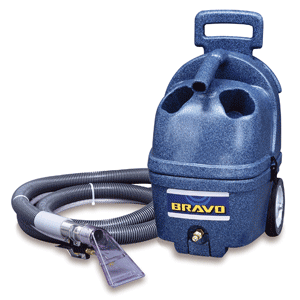 The ideal high-power carpet extractor for the single operator. The Steempro Powerplus incorporates a high power vacuum and pump system with an internal ‘whisper quiet’ silencer making it one of the most powerful yet quiet portable extractors in the world. 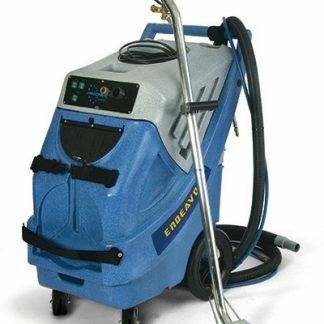 Dual 3-stage vacuum motors and new 220psi pumps and an optional “clip-on” in-line 2.8kw heat exchanger which produces virtually instant hot cleaning solution. 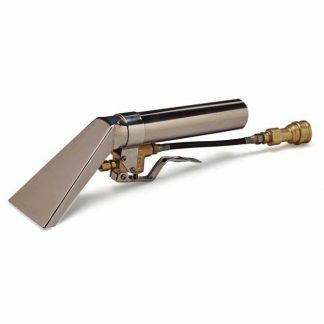 Comes complete with hoses and Glidemaster twin jet stainless steel wand.